Anyway, the payload from before installs a plug-in into the /Library/Internet Plug-ins/ directory that changes the DNS server that the Mac uses to resolve domain names. Basically, it means that typing in http://macphoenix.com may send you to a totally different site, or worse, if going to a banking or bill paying site, it may send you to a site that looks exactly the same, but is controlled by thieves. One of the bad DNS IP entries was 85.255.113.138. There was another IP number, but I didn’t record it. If you have a DNS entry pointing to the above, though, it’s a server in the Ukraine that will send you to whatever it wants to, not where you want to go. Can’t really tell what the downside is…of course I would not want something to download and install itself on my Mac without my authorization, but, what does it do? 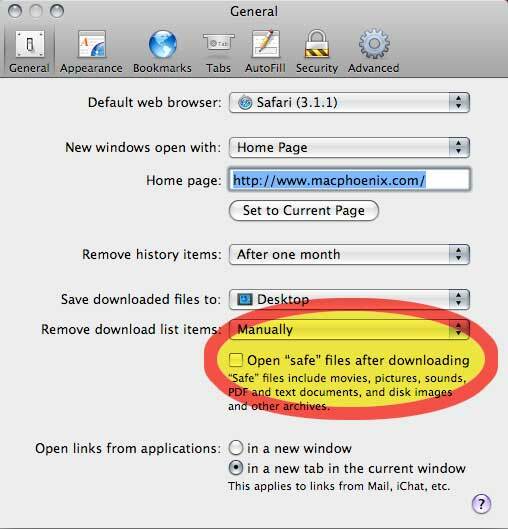 In any event, I’ll uncheck that thing, and rely on Flip4Mac, Quicktime, Perian and Flash for video on the web.